The text of Blessed Paul’s letter and Pope Francis’ brief commentary are included in a new Italian book, “The Barque of Paul,” by Msgr. Leonardo Sapienza, regent of the Prefecture of the Pontifical Household. The letter and commentary also were published May 15 in the Vatican newspaper, L’Osservatore Romano. Blessed Paul’s letter was long rumored to exist, and in 2017 Cardinal Giovanni Battista Re, the vice dean of the College of Cardinals, confirmed that the pope had written such a letter. But it was not made public until Msgr. Sapienza’s book came out. 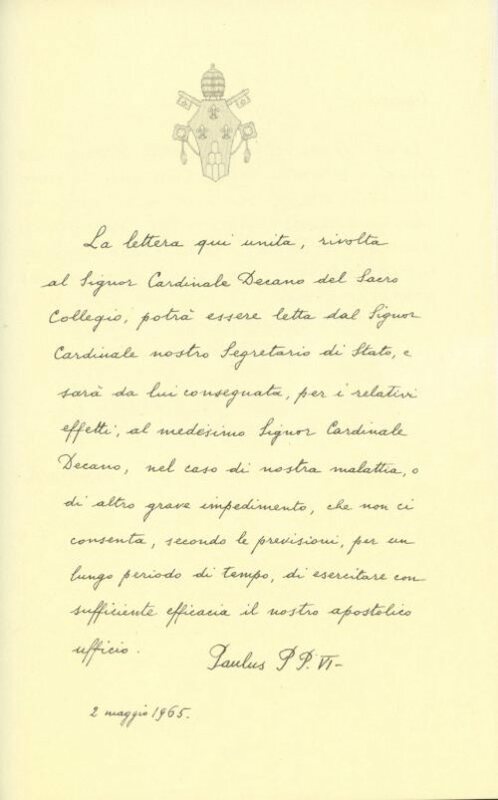 In the letter, Blessed Paul formally gave authority to the dean of the College of Cardinals acting together with, at the very least, the cardinals heading offices of the Roman Curia and the cardinal vicar for the Diocese of Rome “to accept and render effective” his resignation for the good of the church. 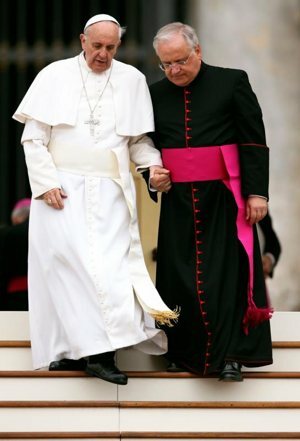 Church law states that a pope can resign, but it stipulates that the papal resignation must be “made freely and properly manifested” — conditions that would be difficult to ascertain if a pope were already incapacitated. Pope Benedict XVI’s situation was different. St. John Paul II was long rumored to have written a letter similar to that of Blessed Paul’s. And in 2010, Msgr. Slawomir Oder, coordinator of the Polish pope’s sainthood cause, released a book publishing for the first time letters Pope John Paul prepared in 1989 and in 1994 offering the College of Cardinals his resignation in case of an incurable disease or other condition that would prevent him from fulfilling his ministry. But even a month before St. John Paul’s death in April 2005, canon law experts in Rome and elsewhere were saying the problem with such a letter is that someone else would have to decide when to pull it out of the drawer and apply it.